Wouldn't you love to be in an atmosphere filled with the melody of nature and a cool breeze? Well, Tajpur is one such place in the state of West Bengal which is home to clean and beautiful beaches. Hence, this charming seaside beauty makes for a perfect weekend getaway from Kolkata into the arms of peaceful and delightful nature. One can also indulge in several water activities at Tajpur. So, when you can get so much at such as tiny place, why not plan a trip from Kolkata to Tajpur this weekend? Read on to know more about Tajpur and how to reach it. Tajpur is a year-round destination due to its favourable climate throughout the year. However, if you are not looking to experience summers at Tajpur, then the best time to visit is from September until the end of April. By Air: The nearest airport is at Kolkata only which is located at an average distance of around 160 km from Tajpur. By Rail: You can catch a train to Ramnagar railway station and then from there, you can hire a cab to Tajpur. Ramnagar is located at a distance of around 10 km from Tajpur and 170 km from Kolkata. By Road: Located at an average distance of 160 km from Kolkata, Tajpur is easily accessible by road. If you are looking to reach your destination within minimum time, then it is advisable to take route 1, as it will take an average time of 40 minutes lesser in comparison to other routes. Through route 1, you can reach Tajpur within 4 hours 30 minutes. On your way to Tajpur, you can take a break at Tamluk and Contai. Tamluk is located at a distance of around 92 km from Kolkata and 87 km from Tajpur. It is located on the banks of Rupnarayan river and is one of the oldest-living places in West Bengal. The presence of beautiful Rupnarayan river makes it an important en route destination where you can take a break amid the soothing waters of the river through boating and swimming. Being an ancient town, it also houses several age-old buildings and temples, such as Tamluk Rajbari, Devi Bargabhima Temple and Rakhi Bati. It is also known as Tamralipta amongst several scholars on the basis of its history. Located in the Midnapore East district at a distance of around 24 km from Tajpur, Contai is famous amongst locals for its ancient temples and mosques. The major places which you can visit in Contai include Kapalkundala Temple and Basanti Mandir. Being home to several cashew nut industries and salt factories, it is an emerging industrial town in the region. Tajpur is one of the most beautiful seaside hamlets in West Bengal which are well known for their uncrowded and clean beaches. Located in the Purba Medinipur district between the seaside towns of Digha and Mandarmani, Tajpur is also famous for fish farming. Hence, you can find several fish ponds scattered across the area of 1400 acres. Regarding tourism, the area is only popular amongst locals, despite being home to the best of beaches in West Bengal. However, due to its tourism-friendly environment, the government of West Bengal is taking several steps to fill the gap between tourists and Tajpur today. Undoubtedly, Tajpur is a synonym to clean beaches. 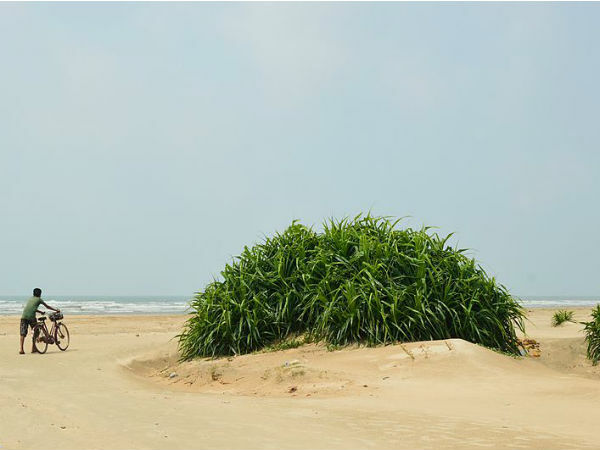 Once you have reached the town of Tajpur, the first and foremost thing which can be done is exploring its beaches. You will not find a better place than Tajpur Beach to relax and detox your body and soul. Even during the summer season, the shores of Tajpur are visited only by locals, thereby, creating a greater scope for tourism. Apart from sitting idly and gazing at the virgin beauty of Tajpur beaches, you can step forward and go for adventurous activities too. The major adventure sports which can be carried out in the water of Bay of Bengal at Tajpur include kayaking, snorkelling, parasailing, boating and fishing. So, how about spending your time in leisure at Tajpur this weekend?